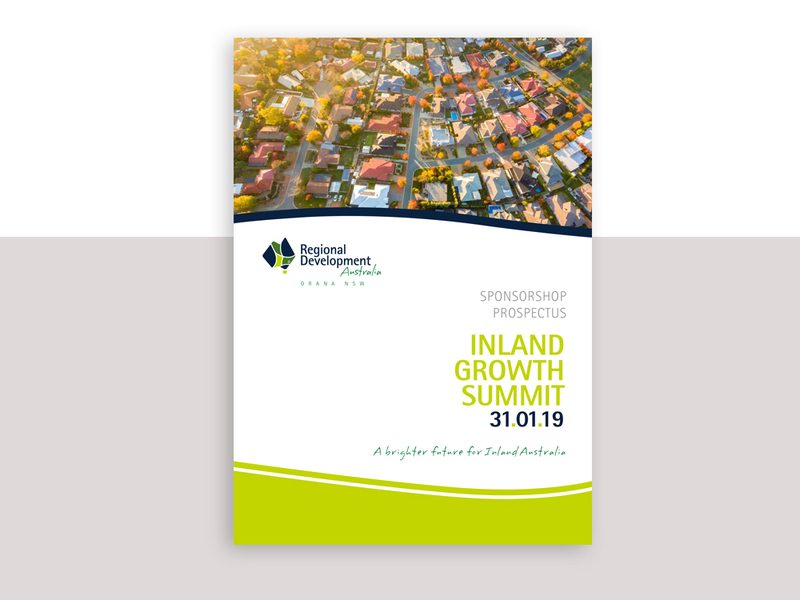 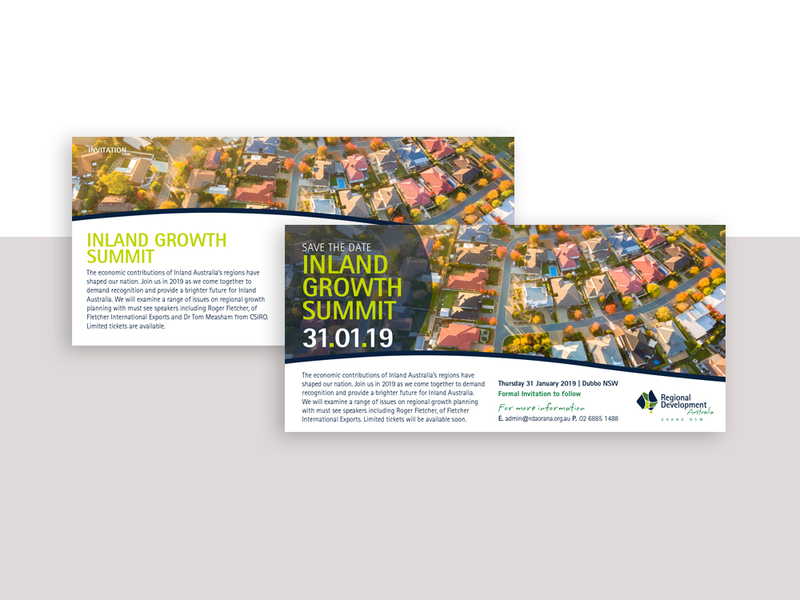 Promotional marketing campaign for events hosted by RDA Orana, Dubbo NSW - Inland Growth Summit and Mining, Energy and Transport Industry Forum, whilst adhering to the corporate guidelines of RDA. 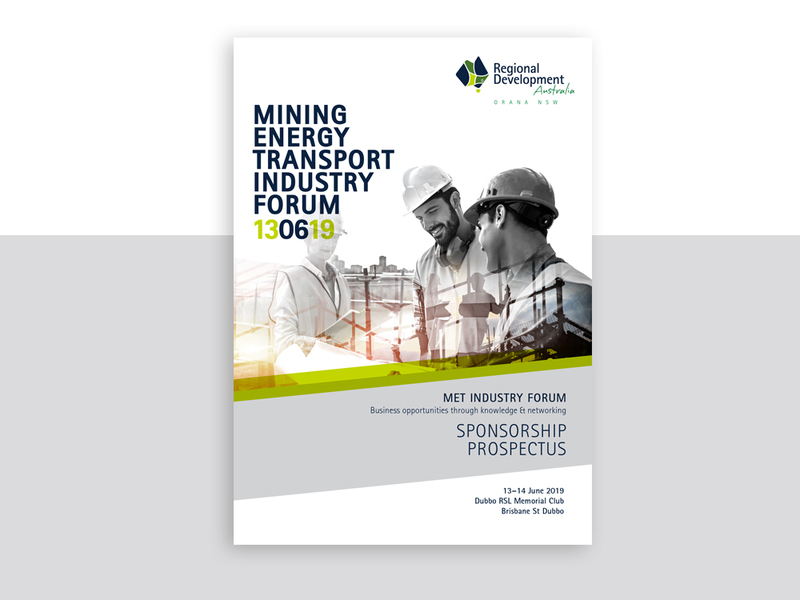 Concept development, including Double Exposure image created for MET forum, Invite design, sponsorship prospectus, program design, social media promotion (Facebook, LinkedIn and Instagram). 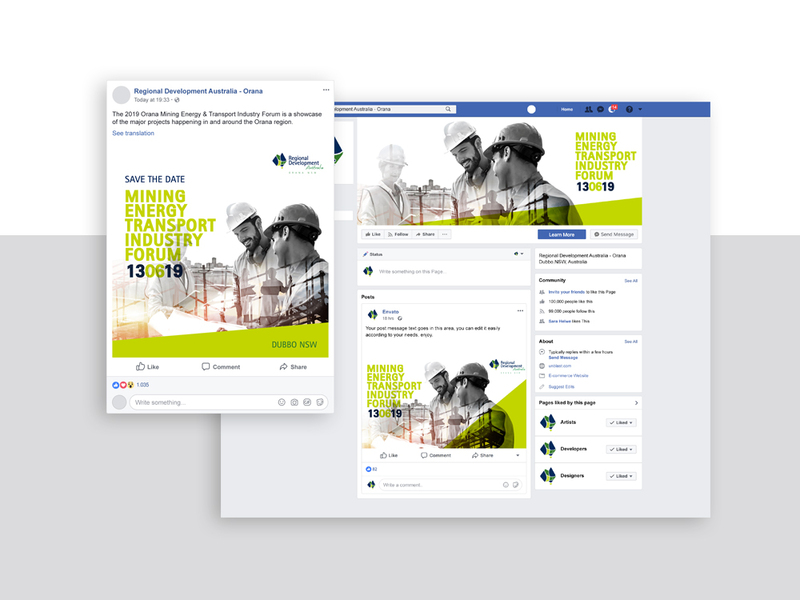 Emma Barrett Creative will handcraft the perfect solution for your business's brand identity. 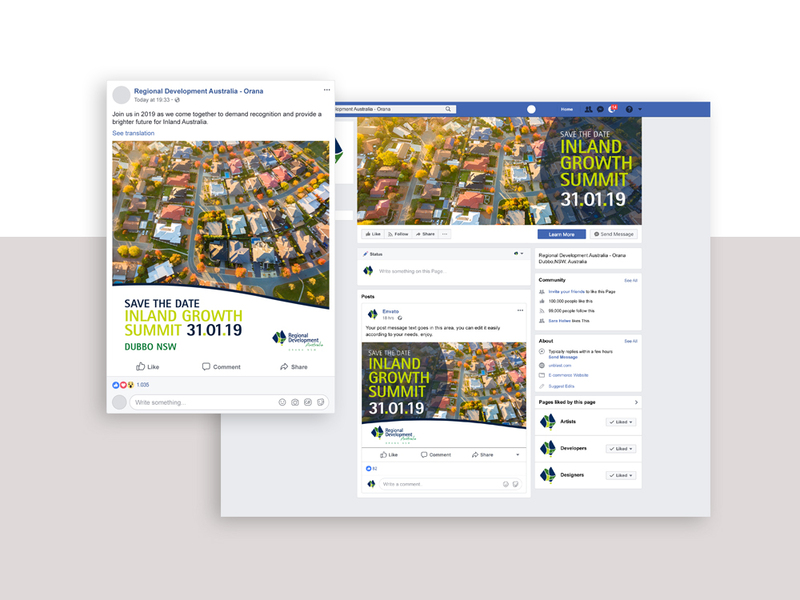 Offering tailored print, digital and branding solutions that will connect with your customer and take you to the next level.